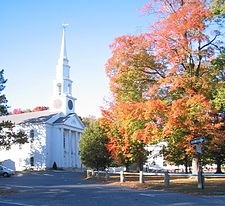 Holliston is a New England town in Middlesex County, Massachusetts, in the Greater Boston area. The population was 13,547 at the 2010 census. It is part of the Massachusetts region, located due west of Boston, that is known as the MetroWest. Holliston is the only town in Middlesex County that borders both Norfolk and Worcester counties, bordered by Sherborn and Ashland to the North, Millis to the east, Milford to the south and Hopkinton/Upton to the west. The Charles River passes near the southern region of town.